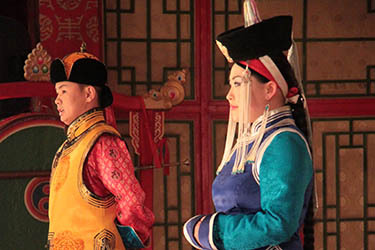 Traditional music and songs from Mongolia are specific by many ways, especially throat singing (Khoomei) and morin khuur. 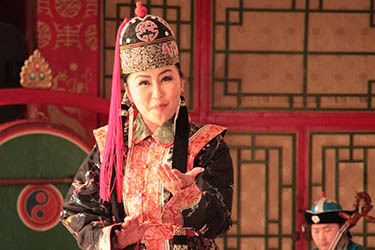 The Khoomei is an overtone singing (throat singing) in which the singer produces two distinctively audible pitches at the same time, including a low pedal note, or drone, derived from the fundamental frequency of the vocal cord vibrations, and higher melodic notes that result when the singer's mouth acts as a filter, selecting one note at a time from among the drone's natural overtone series pitches. 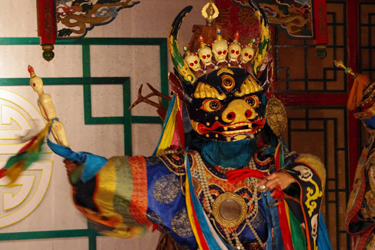 The sound is reminiscent of the Jew's harp. 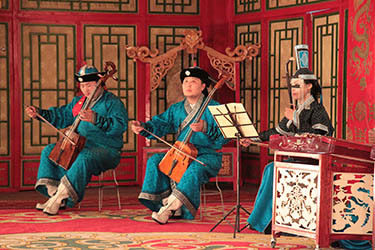 The Morin Khuur is a horse head fiddle widely used in traditional Mongolian music. 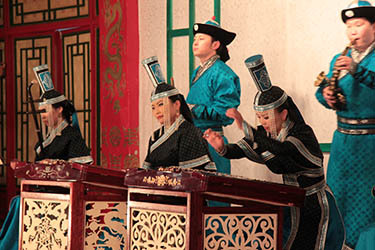 Both Khoomei and Morin Khuur are recorded in Intangible Cultural Heritage of Humanity by UNESCO.